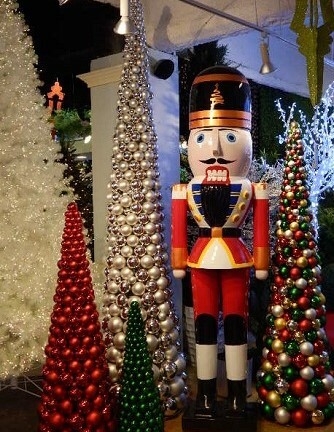 Autograph's New Line of Commercial Christmas Décor includes cone trees, Life-size Ornaments, Nutcrackers, Christmas Gifts boxes, and Drums. Our life-size décor is all handcrafted and hand painted made for outdoor use. Glossy Ornament Colors in stock include Red, Green, Blue, Silver, and Gold. Ornament Globes in sizes from 21 inches, 33 inches and 49 inches. Glittery Satin 31 Inch Star Ornaments in Gold and Silver. Custom colors and sizes are also available. Check out our New Ornament Trees in multiple sizes and colors! Traditional Red/Green/Gold, Red, and Silver colors in stock. Perfect for your Holiday Event!